Windermere Real Estate, the largest regional brokerage in the Western U.S. is celebrating its second year in the Denver market this month. After just two years, the Seattle-based company now ranks in the top 3% of all real estate brokerage companies in the metropolitan area. While Windermere has been growing over the last two years, metro Denver homeowners have been benefitting from the robust growth in real estate prices. According to the latest report from the Federal Housing Finance Authority, Denver ranks 14th out of 258 metropolitan areas for home price appreciation with 10.14% growth over the last 12 months. This appreciation rate is nearly double the long-term average of 5.8%. Prices in metro Denver have been appreciating at double-digit rates for the last four years in a row. The average price of a single-family home now stands at $448,000. Just two years ago, when Windermere started in Metro Denver, the average price was $371,000. “For four years now we have had the perfect storm to cause prices to increase at a rate that is nearly double the long-term average. Metro Denver is one of the fastest growing populations in the country, we have an incredibly healthy economy with high employment, interest rates that are roughly half of the long-term average, and the inventory of homes is at all-time lows,” said Eric Thompson president of Windermere Real Estate in Colorado. There are only 2,918 single family homes currently for sale in Metro Denver, 7.8% lower than a year ago. “With tight supply and strong demand, we see expect very strong price appreciation for the foreseeable future,” said Thompson. Since its inception in 1972, Windermere Real Estate has grown to be a network of 300 offices with more than 6,000 agents by focusing on three basic principles: hire the best people, give them the best tools and create thriving communities. Windermere’s growth has allowed them to expand into the Colorado market led by Eric Thompson, President of Windermere Colorado. Denver, COLO. (December 8, 2016) – Windermere Real Estate has just opened a new office in one of the fastest growing communities in Metro Denver. The new Aurora location, which is located in the Southlands shopping center, joins Windermere locations in Fort Collins, Centennial, and Denver. Windermere opened its first office in Colorado just two years ago and has plans to continue growing across the state over the next few years. “We are very excited about our recent expansion into Southeast Aurora; the city is growing by leaps and bounds and we are happy to be part of this exciting growth,” said Vincent Grandi, co-owner and managing broker of the Windermere Aurora office. “One industry that has lacked a presence in the area is real estate, forcing many home buyers and sellers to search outside the area for a real estate agent. We are proud to now provide a local neighborhood office with experienced and knowledgeable agents who live and work in Aurora and have extensive knowledge of all that the city has to offer,” said Grandi who co-owns the Windermere Metro Denver and Aurora locations along with (insert all the owner’s names). Grandi added that one of the best advantages of living and working in the city of Aurora is the vast diversity of its residents, “Aurora is a melting pot of many immigrants that have chosen to come from all over the globe to live and work. We’re proud to be part of this community and look forward to providing the best real estate experience to the residents of Aurora,” he said. The office features a hip, fresh atmosphere, effective spaces for agent training and client meetings, and a rooftop deck. Since its inception in 1972, Windermere Real Estate has grown to be a network of 300 offices with more than 6,000 agents by focusing on three basic principles: hire the best people, give them the best tools and create thriving communities. Windermere’s growth has allowed them to expand into the Colorado market led by Eric Thompson, President of Windermere Colorado. For more information, visit www.windermerecolorado.com. Windermere Real Estate is ranked the largest regional real estate company in the Western U.S. with over 300 offices and 6,000 agents serving communities in Alaska, Arizona, California, Colorado, Hawaii, Idaho, Montana, Nevada, Oregon, Utah, Washington, and Mexico. 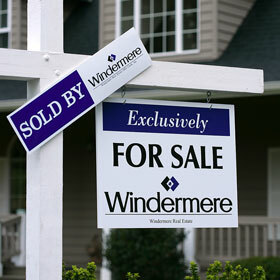 Last year, Windermere closed over 86,000 home sales for more than $31.7 billion in dollar volume. The Windermere family has a proud heritage of serving our neighbors via the Windermere Foundation, which funds services for low-income and homeless families. Since 1989, the Windermere Foundation has contributed more than 32 million dollars towards improving lives in the communities where we live and work. For more information, visit www.windermere.com. Fort Collins, COLO. (Nov. 9, 2016) – After opening its first Colorado office in December of 2014 in Fort Collins, Windermere Real Estate Colorado has experienced accelerated expansion with new offices in Centennial and Denver Metro over the past two years. The rapid growth stems from a number of factors, but primary among them are a one-of-a-kind home selling program and a fresh approach to hiring and engaging a younger workforce. Thompson and his team pioneered a revolutionary program to market a home called the “Windermere Certified Listing.” Similar to buying a certified pre-owned vehicle, the program includes a pre-inspection of each listing before it ever goes on the market. With the pre-inspection in hand, the seller can decide how to handle certain repairs and then be transparent with the buyer as to the exact condition of the home. “The biggest disappointments in a typical transaction occur when there is a surprise. With this program we’ve virtually eliminated all surprises,” says Thompson. Interestingly, the program has also resulted in a younger generation of agents joining Windermere. Currently, 20 percent of Windermere Colorado employees fall under the Millennial generation, an uncommon characteristic for a real estate company in an industry where the average age for a realtor nationally is 58. Both the younger and experienced agents at Windermere also appreciate Windermere’s commitment to giving back to the communities where they serve. The Windermere Foundation has generated over $31 million in donations since its inception toward supporting low-income and homeless families. In Colorado, Windermere partners with Homeless Gear, Colorado Coalition for the Homeless and the YMCA. “Charitable giving is incredibly important to me and the agents on our team. The fact that Windermere is so committed to giving back to the communities where they serve was certainly a major factor in our decision to join Windermere,” said Carl McNew, co-owner of Windermere Metro Denver. homeless families. Since 1989, the Windermere Foundation has contributed more than 31 million dollars towards improving lives in the communities where we live and work. For more information, visit www.windermere.com.